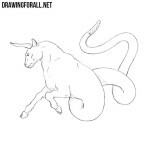 We love the myths of ancient Greece and Rome, and on drawingforall.net there are many different lessons on this wonderful theme. And today, in the continuation of the myths of antiquity, we will show you how to draw Themis. In ancient Greek mythology, it is the goddess of justice, Titanide, the second wife of Zeus. First we draw the usual female figure.You can see the growth which is equal to the sum of the lengths of the seven heads. Another important feature is the wide pelvis and narrow shoulders. To start this step we draw two crossing lines inside the face contour. It will help us draw the details of the face. Next we draw the neck in the form of rather long cylinder. After that we draw a torso, which narrows at the waist and expands at the hips. 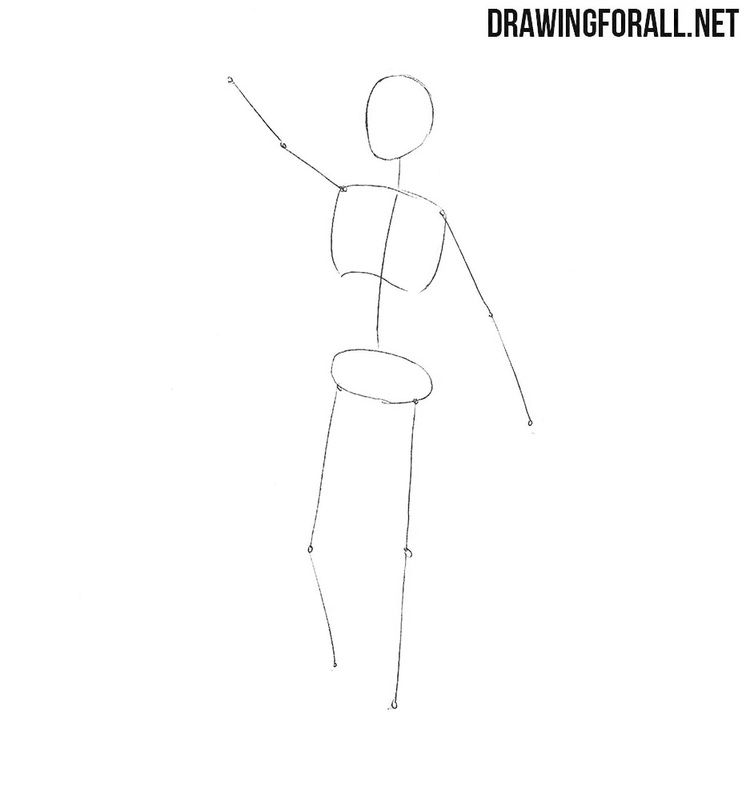 With the help of very simple geometric shapes we sketch the outlines of the legs and arms. This step was really needed to add a bit of volume to the figure of this epic women. We drew the silhouette of Themis, and now let’s make it more like a real woman. First of all, we sketch out the outlines of the details of the face, blindfold and long hair. 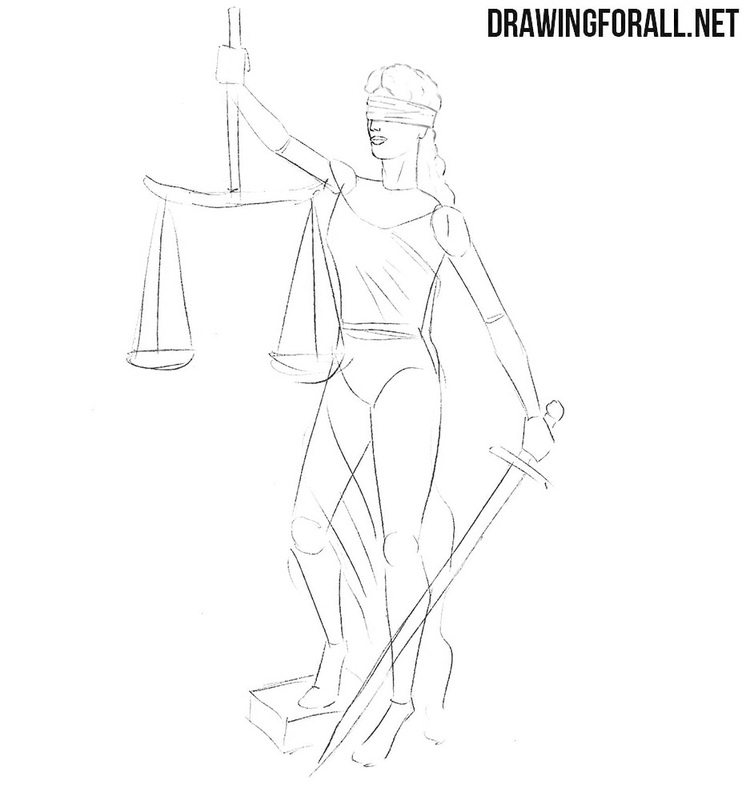 Next, we move a little lower and sketch out the sword, libra and the outlines of the cloth. By the way, we recall that in the first three steps of this lesson we used very light lines, but starting from the next step we will use dark lines. So we can begin to draw the final details using contrast dark lines. And we start from the face. First of all, we carefully draw out fabric on the eyes, nose and plump lips. After that draw out the face’s contours. Using wavy lines, we draw out long voluminous hairstyle. At the very end of the step, remove all unnecessary guidelines from the face and head. 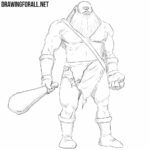 t’s time to draw the body of our character. Using curved lines carefully draw breasts, contours of lower part of the thorax and folds of tissue in the abdomen area. Erase all unnecessary guidelines and draw out lines of clothing on the torso, considering the shape of the body under the clothes. this step we will draw the most difficult part of the body. We are talking about palms. 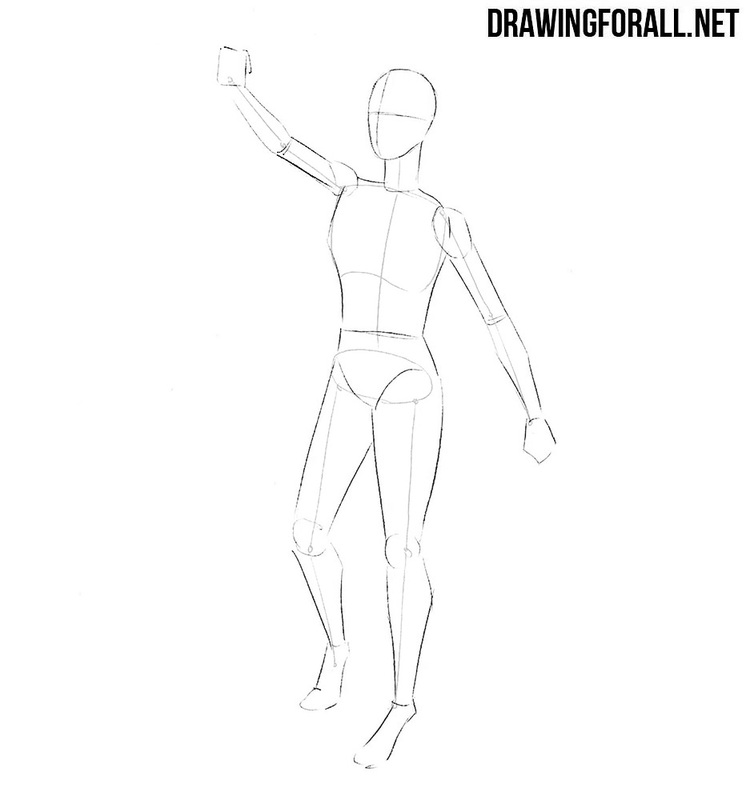 It will be much easier for you if you read an article about how to draw fists and palms. Use straight straight lines to draw a sword and scales. 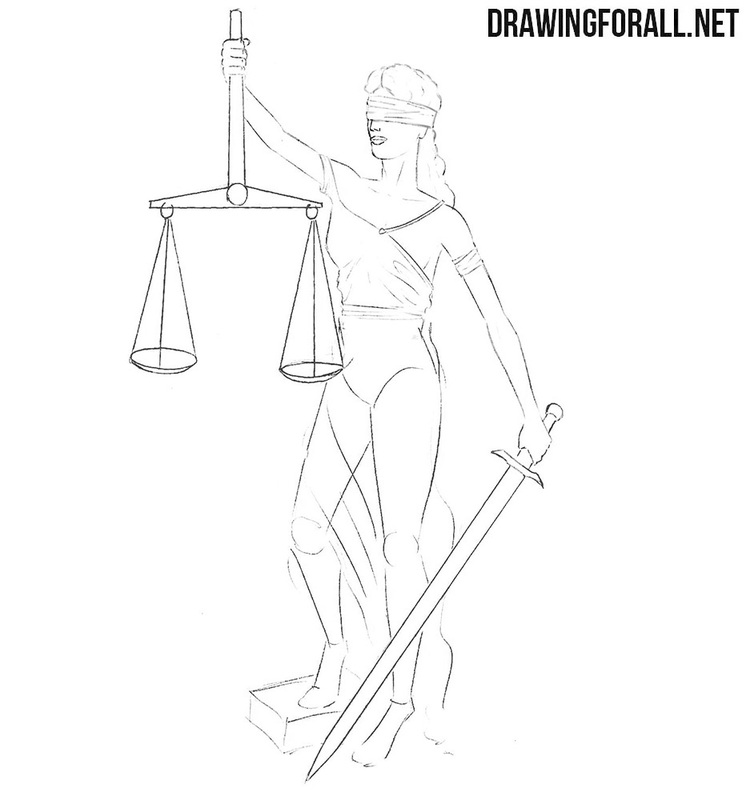 We have the easiest step of the lesson about how to draw Themis. 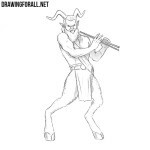 And in this step we will need to draw the lower part of the legs and feet. Also here we will need to draw all the necessary folds and remove all unnecessary guidelines from these body parts. 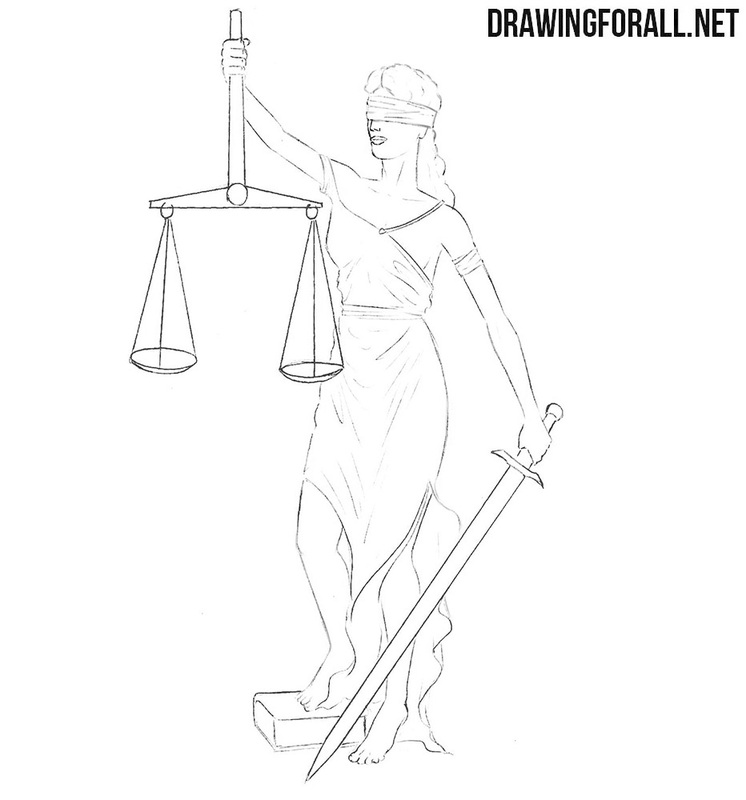 So this Themis is almost drawn, and we just have to make it more voluminous and realistic. To do this, we will draw the shadows using the classic hatching method. As you can see, in this case the hatching lies in the least illuminated areas of the body, that is, where light does not fall. We hope that you share our love for the ancient art. We are convinced that antiquity and renaissance are the main periods in the history of mankind that created the world in which we live now. If you share our love of antiquity, do not forget to write about it in the comments. We are waiting for you!